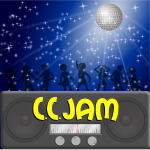 CCJam – Community music podcast – turn up the volume!!! After a brief interlude, CCJam returns in time for the tail end of the summer (in the UK anyway). In episode 59, Kevie introduces the listeners to Tamara Laurel, an American singer-songwriter who lists herself as a perfect blend of Americana, Folk, and Alt. Country. Her music is available on Jamendo, SoundCloud and iTunes. Her merchandise and physical CDs are available from DistrictLines. She is also active on both Facebook and Twitter. In episode 58 of CCJam, Kevie introduces the listeners to Cheryl Desereé. With influences from both traditional country music and swing Cheryl moved to Nashville to produce her debut self titled album. She is currently working on her second album entitled “Half”, which is due to be released in 2018, you can support her through the GoFundMe page. She is active on Twitter, Facebook, YouTube, Reverbnation and Instagram. Her music is available from Amazon, Itunes, Soundcloud and CD Baby.